Kirkwall City Pipe Band prepare to parade in New York City. 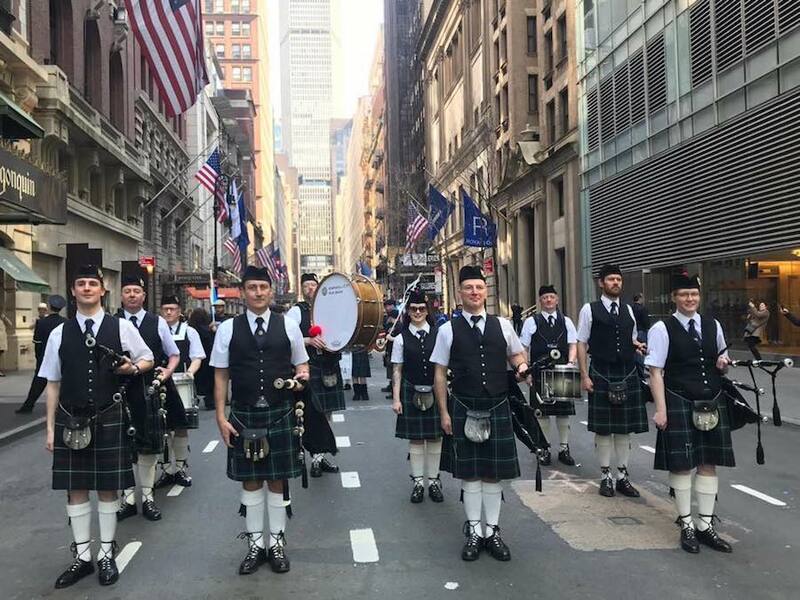 Kirkwall City Pipe Band (KCPB) has enjoyed trip across the pond this past week, performing at the Tartan Day Parade in New York City. The trip was part of ongoing celebrations marking 100 years since the band was formed. The parade, held on Saturday, April 6, saw pipe bands come together from all over the world. Prior to the parade, KCPB also played in Bryant Park for the American Scottish Foundation’s event Pipes and Drums on the Fountain Terrace.